“The Willows” one-room country school located six-and-a-half miles west of Westcliffe, Colorado dates back to pioneer times. 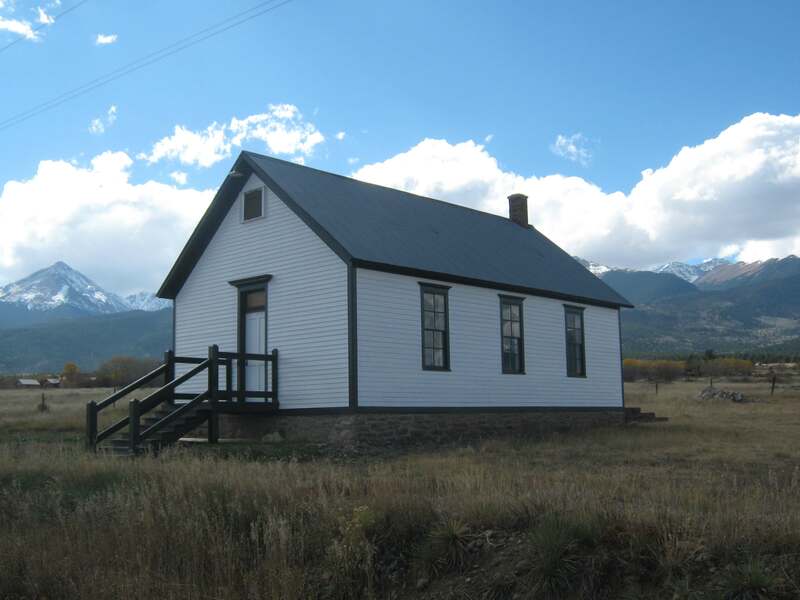 It was constructed in 1889 for Custer County’s School District Number 15. The Historic Willows School Society, a 501(c)3 non profit, manages the 1889 Willows one room country school located 6 _ miles southwest of Westcliffe, at 495 CR 141 (Willow Lane) . The Building is on the State and National Historic Buildings Registrars. We have completed the renovation of the outside of our building and are in the process of painting the interior. We have undertaken an exciting project for this year. We are publishing a historical novel submitted by Meta Frank. This is the life story of one of the original colonists.